Comments: Fantomah is a legend reborn and comes to life. Paz was reborn as Fantomah a being out for revenge against those who wrong children. She is powerful now. Fantomah’s mystic is growing. Fantomah has so many powers. They just keep unfolding as she needs them or as someone needs her to have them. 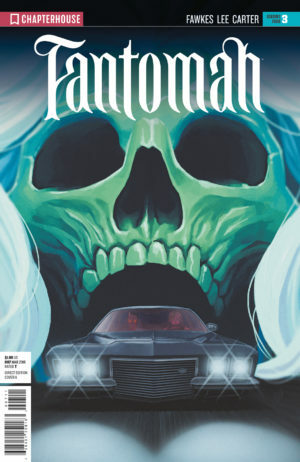 The art looks just as you might expect as it shows Fantomah as something you would expect to see in a horror movie. The gang finds Fantomah and they do gang up on her. Things are not looking good for Fantomah. The mystique and mystical aspects of this comic provide a frightening atmosphere around Fantomah. You know she is to be feared if you harm children. She will come for you.